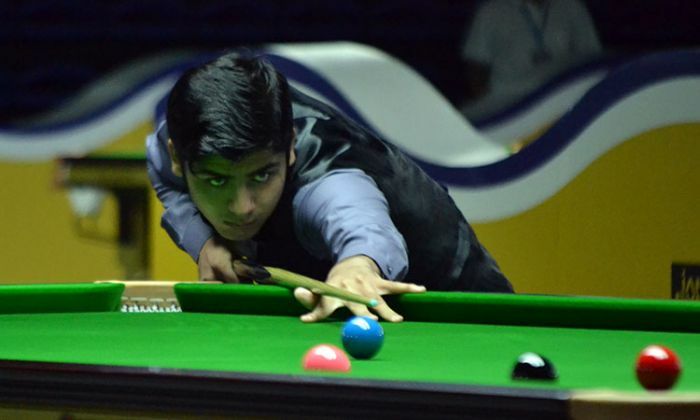 Last year’s World Under-18 champion, Muhammad Naseem (Pakistan) had an easy day today as he won his both group stage matches, each scoring score 3-nil. With that he has confirmed his place for the knockout stage. Though he has to play one more match tomorrow, but his average is quite high and looks no difficulty in achieving knockout berth. Today his first match was against Indian player Karmesh Patel where he scored a break of 68 to close the proceedings. Later he met Ronan Whyte of Ireland and here too he maintained his lead throughout to defeat him 3-0. During an interview, he said that since he is defending his title, he has worked hard for this year and in addition to defending the title, he will go for Under-21 title too. All players from host nation China (except Hao Hui Deng) won their day 1 matches comfortably. Hao Hui Deng was the only one who suffered two defeats, one against S. Shrikrishna of India and another against Ross Bulman of Ireland. Against Ireland, Hao played quite decent and recovered from 1-2 to bring his opponent at level but in the decider, Ross held his nerve better and scored a break of 77 to take away frame and match from Hao. The Chinese boy Guo Qiang He scored highest break of the day i.e. 136 in the second frame against Oskar Charlesworth of Austria, which Guo won 3-0. Total four century breaks were recorded on day 1. The rest three made by Bing Yu Chang of China (108, 103) and Julien Leclercq of Belgium (107).